International Motor Sports Ltd has announced that entries are now open for its popular annual MSA Euroclassic tour for cars over 20 years old, this year taking place from 25 September to 2 October. 2012 is the 20th year of this iconic blue riband touring event which mixes challenging roads, sightseeing and motor sport venues old and new. Starting from the historic city of León, Spain, this autumn’s route will travel through Northern Spain and South-Western France before culminating with two nights in the spa town of Vichy, France. Highlights of the event include laps of the renowned Jarama, Albi and Charade (Clermont-Ferrand) circuits plus en route check points in Salamanca (a UNESCO World Heritage Site), Saint-Gaudens (home to the 1928 French Grand Prix) and at the Pic du Midi high up in the French Pyrenées, as well as a full day exploring the city of Madrid. For the second consecutive year, a limited number of entries are available for more ‘modern classics’ which do not meet the 20 year age requirement at the discretion of the organisers. Full route and entry information is available at www.msaeuroclassic.co.uk. 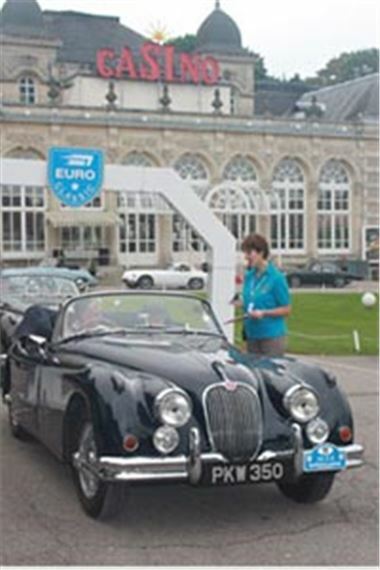 The 2012 MSA Euroclassic will take place from 25 September – 2 October. The MSA Euroclassic is a non-competitive, scenic tour for classic cars across Europe incorporating visits to museums, race circuits and other motoring and tourist related locations en route. There are no timings or penalties for not following the supplied route and participants are free to travel at their own pace. The route contains a number of check points which are open for a specified period. Participants will be accompanied by a highly experienced team of officials and full breakdown support along the route.